The S&P 500 monthly is showing a positive close for the month, a new high, and a close above the 2 week opening range. 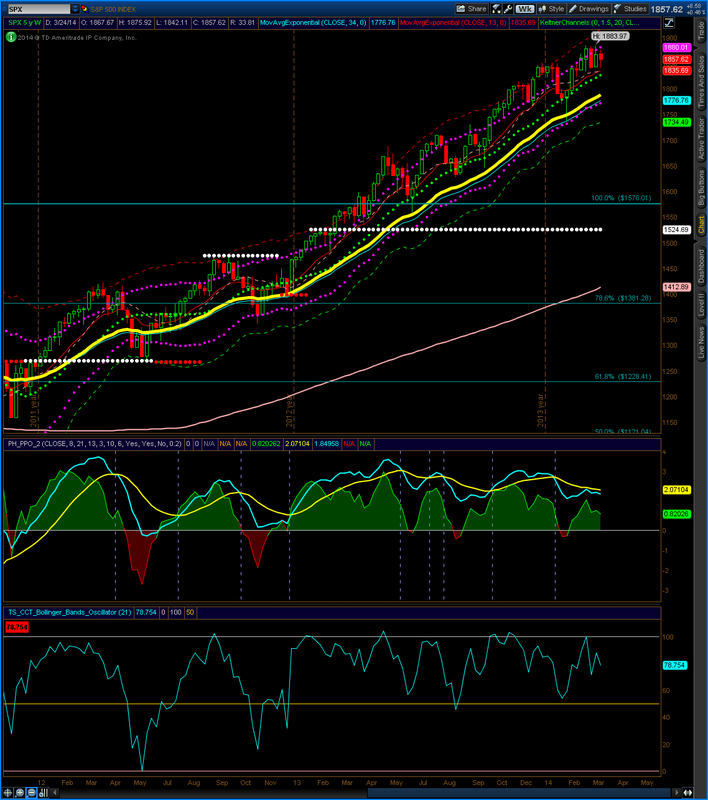 Until the market shows a sustained sell off, the monthly outlook remains bullish. The S&P 500 weekly is showing another close inside of the range between 1840 – 1880. 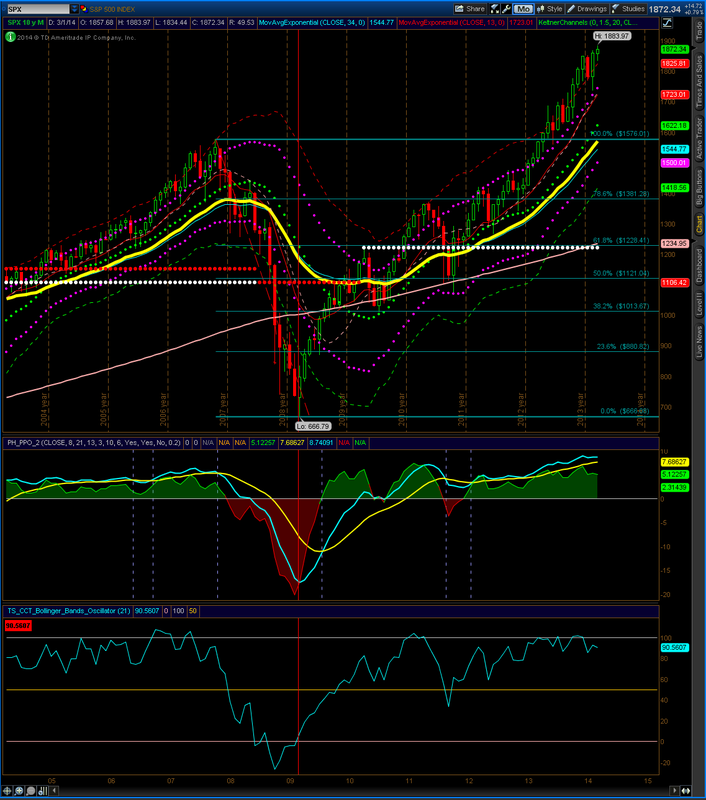 Until the market breaks out of this range, the weekly outlook remains neutral to bearish. The S&P 500 weekly is showing a close in last week’s range. New highs were tested, however, they were immediately sold at the end of the week. Until the range between 1880 and 1840 is resolved, the weekly outlook remains neutral to bullish. The S&P 500 weekly is showing a close inside the six month opening range. 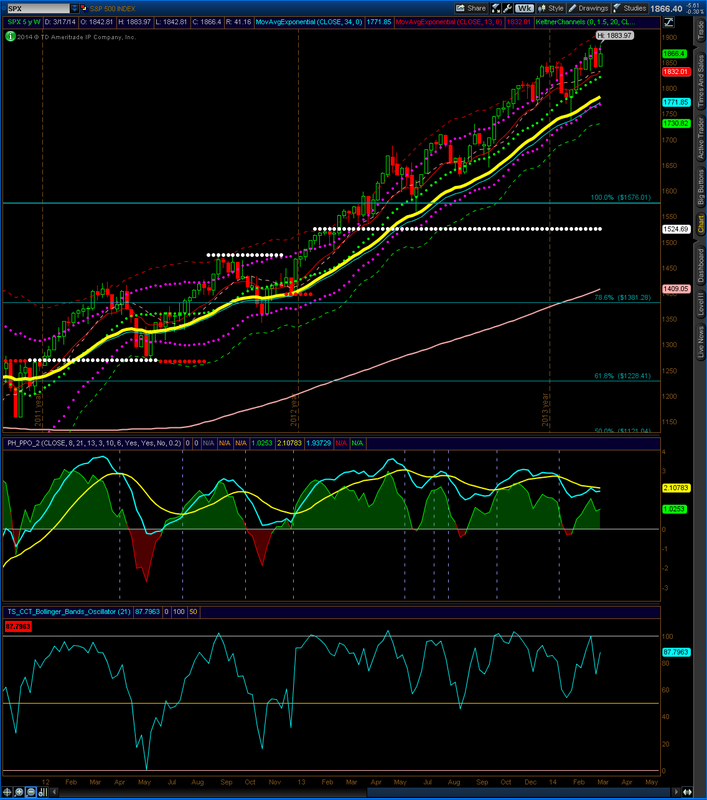 The sell off from previous highs held near weekly support close to 1836. On a rally, I expect the upper Keltner line to be tested near 1868, while a sell off through support could retest 1815. 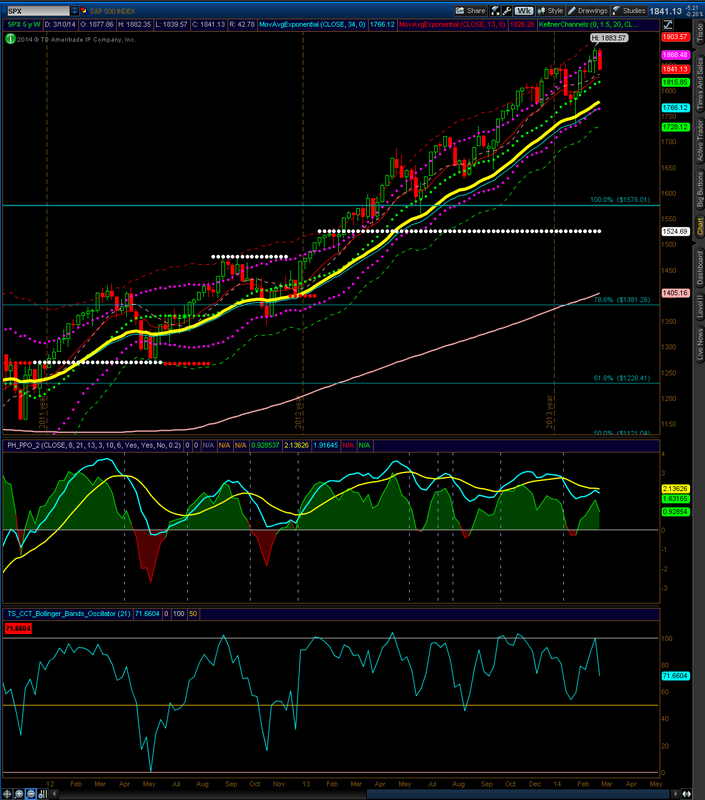 The S&P 500 weekly is showing another all time high. 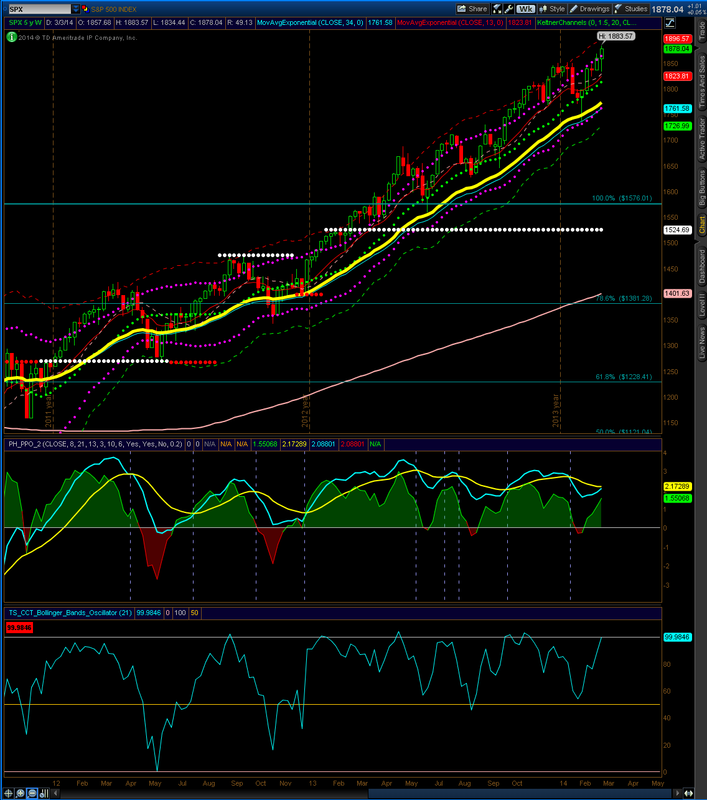 The market also closed above the upper Keltner line.